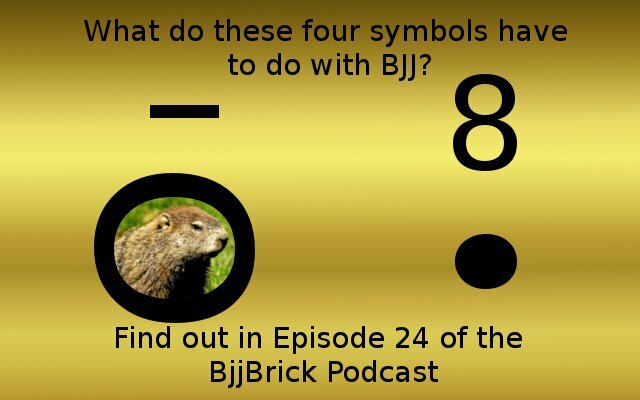 This week we talk about the four basic types of matches you could find yourself in BJJ. We gave each match a symbol, to make it simple. 1) The straight line or arrow (——, ——>). This is a one-sided match that progresses smoothly. This match goes from start to finish with one of the competitors dominating the other. A tip for a tournament is to watch the rest of your bracket as they compete. You might see someones game plan and be able to avoid the dominant parts of their game. 2) The Figure 8. This is a chaotic match. This type of match is typically at the lower levels, because the higher level competitors are more controlling and better at using any dominant position. If you find yourself in a match like this, you can win this match, but you are going to need to fight for it. Try to use the transition to your advantage. Decide your strong part of your game and find a way to get your opponent to that place. If you find yourself behind in a match, you might look for ways to make it more like a figure 8 match. 3) The Circle O. This match is like a loop (like the movie ground hog day). The competitors find themselves doing the same things over and over again. If you are winning keep this going. If you are on the wrong end of this match find ways to break the loop, you need to change some things that your doing. 4) The Dot . This match is when nothing is happening. Be ready for your competitor to try to score at the end of the match. Try to find a way to get the match going. We also give some training tips, because you will encounter these types of matches in training. 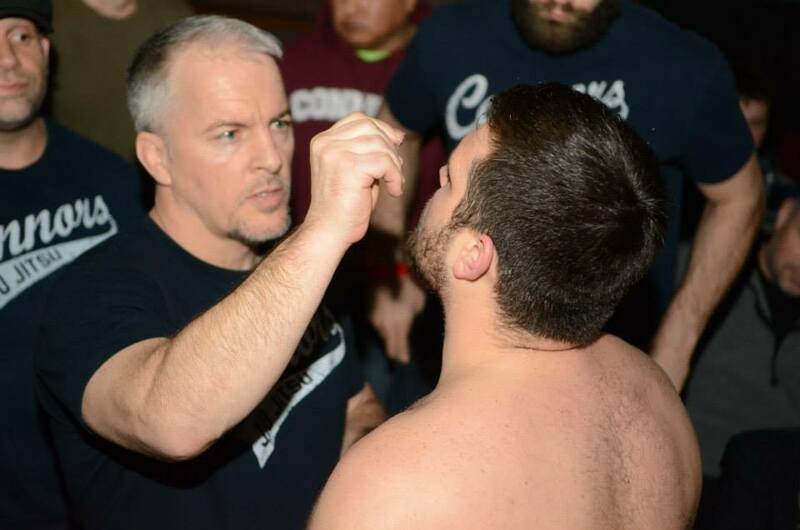 This week on the podcast we bring you an interview with coach John Connors. 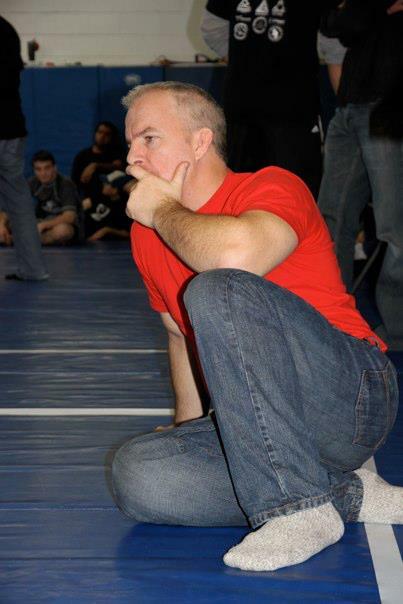 John is the author of the e Book “Quick Start Guide to Complete Jiu Jitsu Competition Readiness”. This is a great guide for someone who is an experienced grappler or just starting out. At the age of 35 John found himself in the business world and lacking the fun and excitement of a sport. 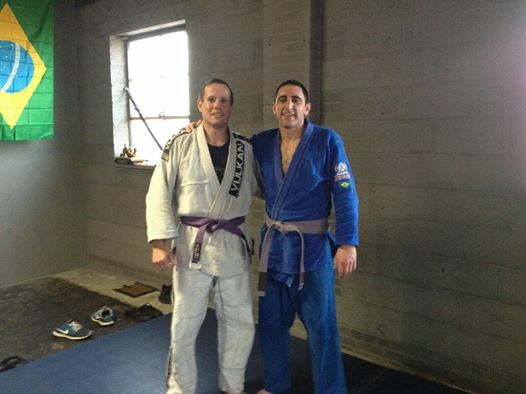 John started BJJ with Roberto Maia, and the fun and excitement was put back into his fitness. John eventually got his black belt in 2006 from Roberto Maia. John is now 51 years old and is very active on the mat and he also has a passion for coaching. This episode we are covering some of the basics. 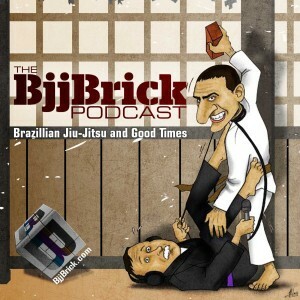 We are going to break down some of the main positions in BJJ and give you some guidance for each one. Article of the week: nuclearchainsaw.com “11 Things Your Jiu-Jitsu Instructor Won’t Tell You”. Byron throwing a brick at Gray as he chokes him with a mic cord. We both spent a significant amount of time working on escapes. 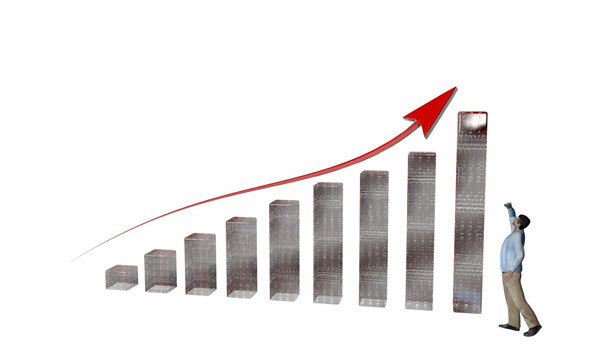 We have had a big increase in confidence with our grappling by getting better at our escapes. It is good to know that you will be able to escape a position. Escapes fall into two categories: Escaping submissions, and escaping positions. You need to be proficient at escaping from both sides (left and right), you do not get to choose what side is attacked. Put yourself in bad positions, the more you train at them the better you will get at escaping. Escape fast, if you get out of a position fast enough your opponent will not score points. Know the areas that you are weak in and work on them. Roll with people that can push you. Try working on two escapes at the same time. Ask questions, your teammates will be happy to help. Epi 20 Growth Vs. 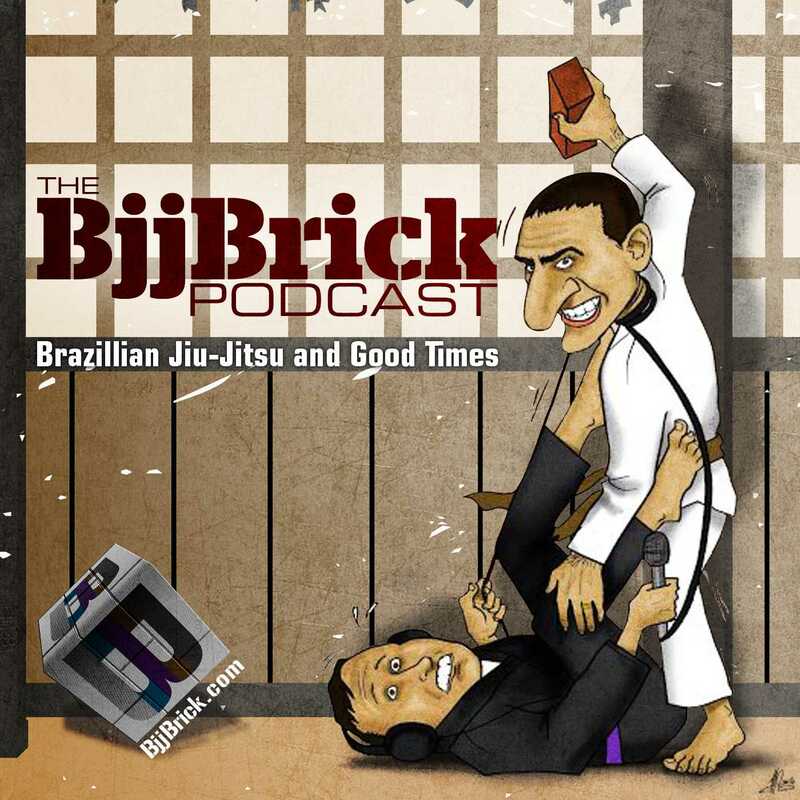 Goals: what is better for your BJJ? From time to time it is important to take a step back and look at your grappling game. Are you in a mode where you are trying to accomplish a goal? Or are you trying to get better at BJJ in a particular area? You have a tournament coming up that you want to do well in. Achieve the next belt in BJJ. Experiment with a new technique of strategy. Go in to a deep study of the area you are growing. Use rolling as an opportunity to try your new stuff. Ask upper belts for help. Make sure you are growing in the correct ways, get some guidance from your coach. You may need to try your new techniques on lower level opponents. Quote of the week: “you can never defend someone else belt, that is their job.” Sean Roberts If you catch a higher belt in a submission you should go for it, and there should be not revenge. Article of the week: “How to be a BJJ Soccer Mom” This article was sent in by our friend Mat, thanks buddy! This is a great article that gives you some advice on how to support your team at a tournament.